After a day of fishing in the Gulf of Mexico more than 50 miles off Clearwater, Fla., it was time for Marquis Cooper and his three companions to head home. But the anchor was stuck, embedded in the hard bottom 138 feet below the surface. One of the anglers suggested removing the anchor rode from the bow of Cooper’s 20-foot, 9-inch Everglades, tying it to the stern, and using the 200-hp Yamaha to yank the hook free. Cooper, who had lost an anchor the previous weekend in a similar situation, agreed to the plan. With the rode tied to the port-side transom U-bolt, he throttled forward, but the anchor stayed put, pulling down the stern. The cockpit flooded, and the deep-vee center console rolled over to port. Cooper, 26, and Corey Smith, 29, both National Football League players, were tossed overboard along with William Bleakley, 25, and Nick Schuyler, 24. Only Schuyler survived. A month-long Florida state investigation concluded that the cause of the highly publicized Feb. 28 tragedy boils down to two words: improper anchoring. Florida does not require education for boaters over the age of 21. 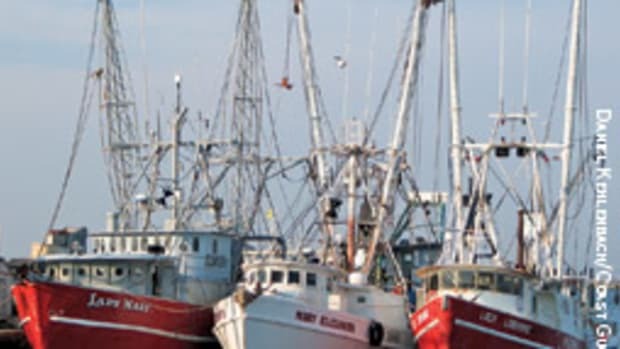 The 11-page Fish and Wildlife Commission report also indicates the men failed to deploy enough anchor line to achieve the proper scope for the 4- to 6-foot seas. It’s not known how much line was out, or whether there was enough rode on board to achieve the proper scope. Operator inexperience and careless/reckless operation were also contributing factors, according to the report. Had Cooper survived, he could have been given a citation or charged criminally, Manson says. “It’s always the boat owner and operator’s fault on decisions made in the boat,” he says. Much of the information in the report is based on an interview Manson conducted with Schuyler, the survivor. “It was difficult [for Schuyler], but he was very articulate when I spoke to him on March 3,” says Manson. “He didn’t hold anything back.” Manson says Schuyler’s description of what happened appears consistent with the FWC’s examination of the Everglades center console, which was recovered. 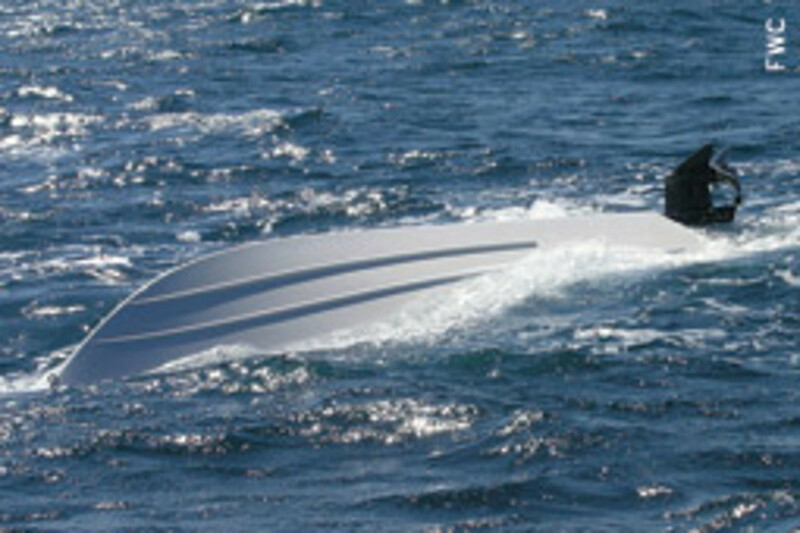 The 2005 Everglades 211cc, a foam-filled unsinkable boat, has a 1,450-pound capacity and can hold as many as 10 people. The cockpit depth is 25 inches. The vessel has a 30-gallon live well and a 66-gallon fuel tank. The boat had no kicker engine. 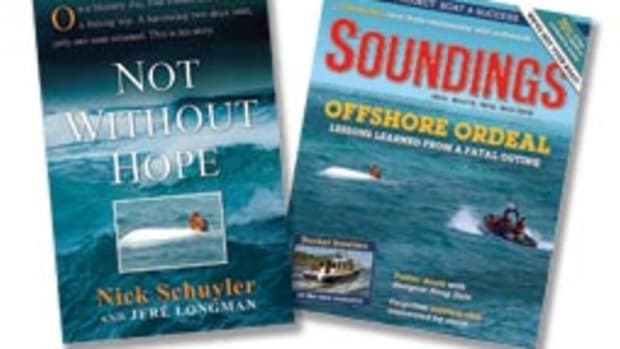 When the boat capsized, no one was wearing a life jacket, but Bleakley swam under the hull and retrieved three Type II PFDs and one Type IV PFD (a throwable cushion), three hand-held strike flares, and the men’s cell phones. But the flares were soaked and useless, and the cell phones, which were inside Ziploc-type bags in the console, could not pick up a signal and later became wet and inoperable. The men failed to right the boat and then struggled to stay on top of it. Their cumulative weight pushed down the boat until the water was up to their chests. 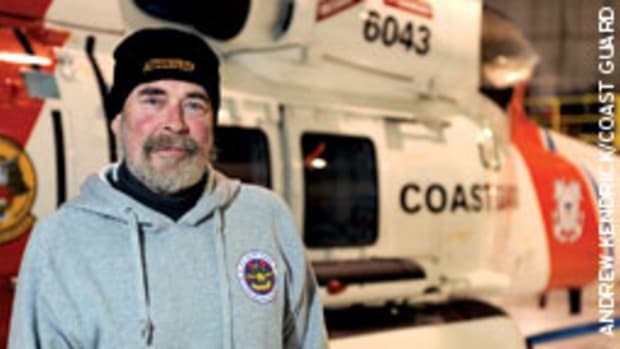 Twelve hours after the capsize, Cooper, suffering from hypothermia, lost consciousness and died. Bleakley, who was using the throwable cushion for flotation, took Cooper’s life jacket. Only an hour later, hypothermia took its toll on Smith, who removed his PFD and let go of the boat. Schuyler and Bleakley survived another night, but the 66-degree water eventually got to Bleakley, too, and he died in his friend’s arms. 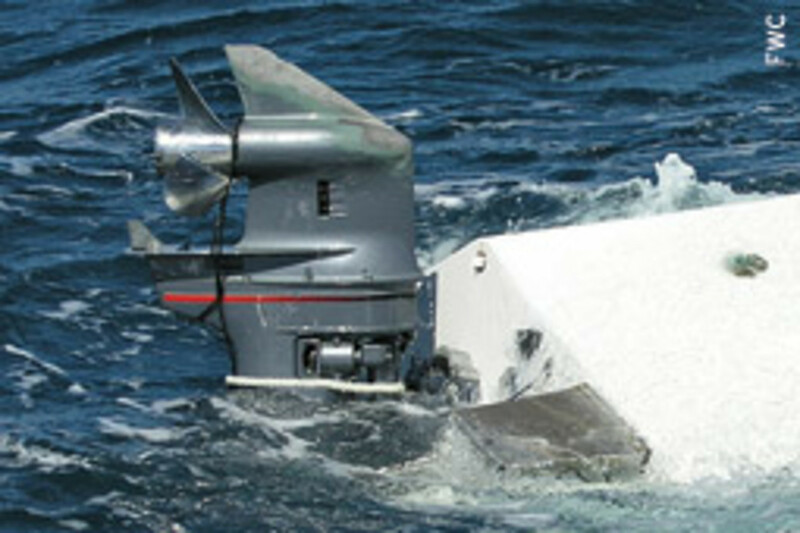 The Coast Guard found Schuyler alive later that day, sitting on the overturned vessel, hugging the engine’s lower unit. 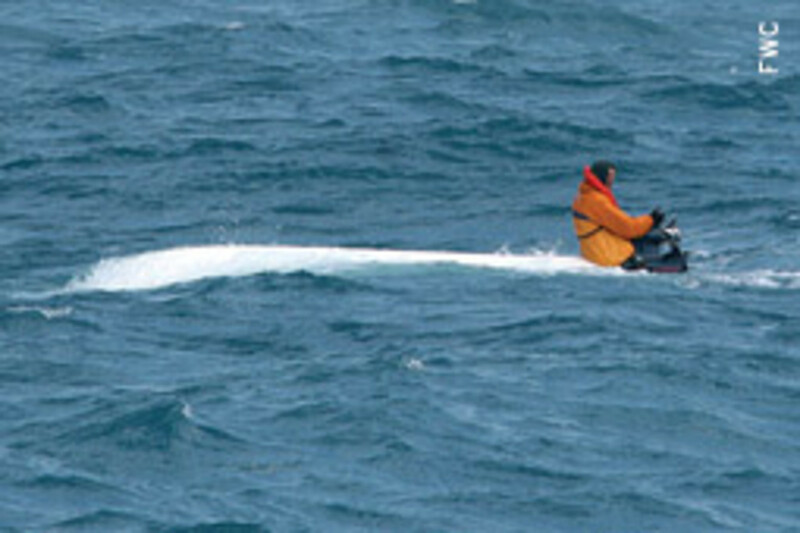 It had been 46 hours since the capsize. 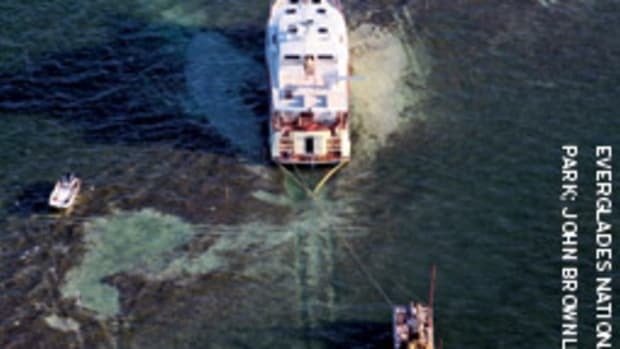 Basic seamanship skills could have saved the football players’ lives, according to the FWC. The men could have simply “cut the anchor line, and they would have been able to head right back in,” Manson says. The skipper could have powered forward and circled around the anchor, making sure he didn’t catch the line with the prop, so that one of the other men [or the boat] could pull from another direction, says Manson. Experienced offshore fishermen who anchor in deep water use anchor retrieval systems that utilize a buoy attached to the anchor line with a ring, which allows the boat as it powers up tide to more effectively pull and free the anchor. After the boat flipped, the men used the propeller to cut the anchor line to maximize the boat’s buoyancy, and then they tried to right it by pushing down on one side, says Manson. After this failed, they worked together to stay on top of the craft, he says. 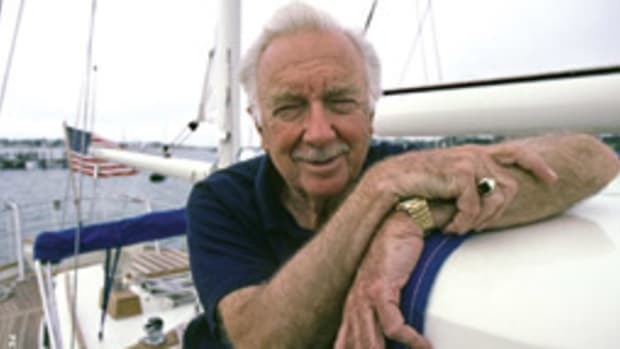 Cooper’s Everglades carried all the required safety equipment, but had no EPIRB or life raft. Other equipment included a Raymarine C80 chart plotter and radar and a spotlight. The boat was also equipped with a fixed-mount VHF radio, but it’s not known whether it was turned on at the time of the accident, says Manson. The men stopped fishing only hours before a powerful cold front — packing 20-knot winds and seas from 9 to 12 feet — tore up the Gulf. On the night before the fishing trip, the National Oceanic Atmospheric Administration began broadcasting a small-craft advisory for Saturday night through Monday. The Everglades was certainly capable of bringing the men home, says Maj. Dennis Post, commander of the FWC’s southwest region. “They have a reputation for having reputable, seaworthy hulls,” he says. In addition to the anchoring error, the lack of a detailed float plan diminished the crew’s chances of being rescued, says Manson. 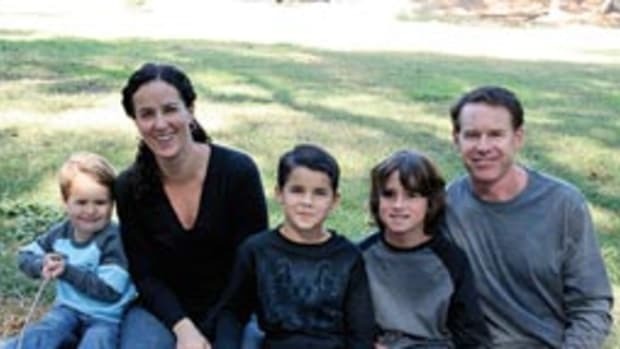 When Cooper’s wife hadn’t heard from her husband late into the evening of Feb. 28, she called Cooper’s friend, Brian Miller, who had been invited on the trip but couldn’t make it. Miller called the Coast Guard at 1:30 a.m. March 1, suggesting several locations where Cooper might have gone to fish. After finding no trace of the boat in those areas, the Coast Guard and other agencies were forced to comb 16,000 square miles of the Gulf of Mexico, looking for the four men. 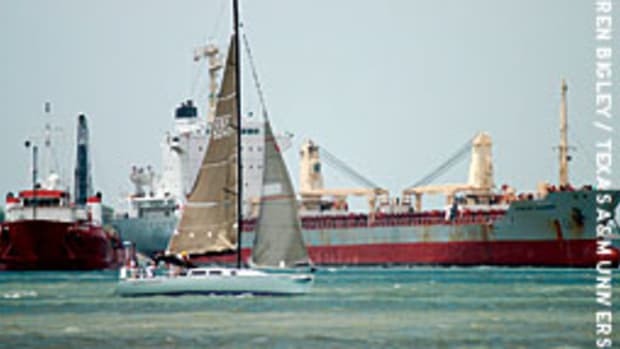 A float plan — at the very least — should include the vessel’s destination (including coordinates, if possible), the return time and location, and the return route, says Post. Offshore boaters should seriously consider equipping their vessels with Type I PFDs with strobe lights attached, quality flares and an EPIRB, says Post. A boating education course would stress the importance of this safety equipment. Bleakley was with the University of South Florida football team from 2004 to 2006, while Schuyler, who is now a personal trainer, was a walk-on defensive end for the team in 2006. Cooper was a linebacker for the Oakland Raiders, and Smith was a free-agent defensive end after playing last season for the Detroit Lions.